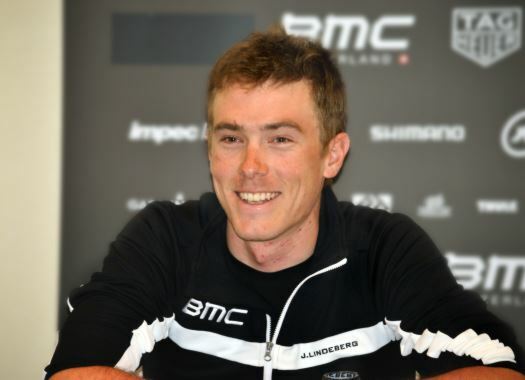 Rohan Dennis (BMC Racing Team) was the fastest man at the opening individual time trial of the Vuelta a España. The Australian took the leader's jersey for the second time in his career. The opening stage of the Vuelta a España was an individual time trial of eight kilometres in the city of Malaga. Martin Tusveld (Sunweb) was one of the first men to set the fastest time at ten minutes and seven seconds, but his reign was short as Sky's Dylan van Baarle stopped the clock at nine minutes and 59 seconds. BMC Racing Team's Alessandro de Marchi set a time of exactly ten minutes, being only one second slower than the Dutchman, while Trek-Segafredo's Fabio Felline completed the course in ten minutes and one second. The time at the hot seat for van Baarle was finished by Movistar's Nelson Oliveira, who finished the stage in nine minutes and 56 seconds, while Wilco Kelderman (Sunweb) and Bauke Mollema (Trek-Segafredo) were at the moment the best riders of the GC contenders, at 20 and 22 seconds from the stage leader at the end of the day. The next rider to get into the best position of the day was Team Sky's Michal Kwiatkowski, who is also the general classification rider for the British team, by stopping the clock at nine minutes and 46 seconds. European time trial champion Victor Campenaerts (Lotto Soudal) set a time of nine minutes and 46 seconds, one second slower than stage leader Kwiatkowski. Rohan Dennis (BMC Racing Team) wanted to wear the Red Jersey once again and pushed himself to set a time of nine minutes and 40 seconds. Alejandro Valverde (Movistar) lost 24 seconds to Dennis, Steven Kruijswijk (LottoNL-Jumbo) lost 29 seconds, Ilnur Zakarin was 24 seconds slower, Simon Yates finished at 29 seconds, Nairo Quintana at 30 seconds and Fabio Aru was 39 seconds behind the Sky rider. Adam Yates was 40 seconds slower than the Australian champion, just like Vincenzo Nibali, and Richie Porte lost 50 seconds on the day. Dennis tops the general classification at the Spanish grand tour for the second time in his career.